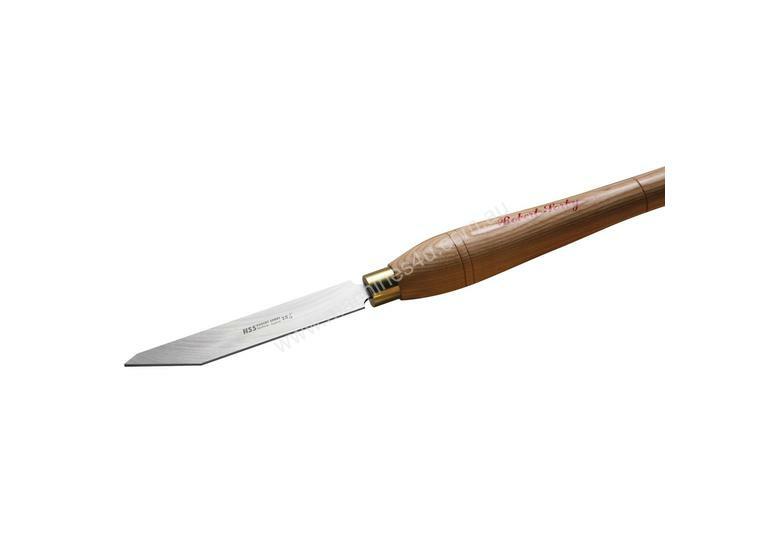 This is the Robert Sorby slim fluted parting tool. It has a narrow profile at just 2mm. The long bevel, with a flute is the cutting face, so the short bevel is the face that is sharpened. Sharpening therefore is very quick and easy. The flute and bevels on this tools means that when parting off, the tool is always doing a shear cut at 45°, making the surface look as though it has been sanded.The image shows how it will look fitted with a handle.